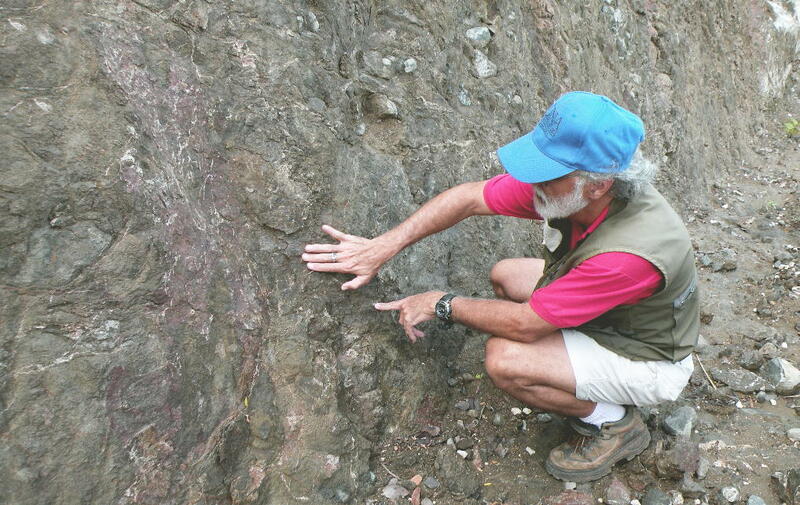 (Q COSTA RICA) by María Fernanda Cruz, Vozdeguanacaste.com – In April of 1997, the Nicoya Peninsula became one of the most important places in the world to study plate subduction. That year, the Costa Rican seismologist Marino Protti attended a forum in Hawaii where participants defined places around the world that showed the best characteristics. The Nicoya Peninsula ended up in first place. In this extract, the seismologist explains how research in the peninsula has come along, why it’s so important for the rest of the planet, and what his interest is in revealing the science without caring if there are politicians or business owners against him. Five years after the Sámara earthquake, you continue to study the Nicoya Peninsula. Why? The Nicoya Peninsula is a laboratory. It’s a great place to study subduction processes because, unfortunately, it sits atop the fault. The vast majority of subduction zones in the world are located off shore and cannot be studied. In Nicoya we have it exposed, so it’s an excellent laboratory. What does it mean to be exposed? A subduction zone is where a plate slips underneath a continent. In the vast majority of countries, this area is off the coast. In Nicaragua, for example, it’s 60 kilometers off shore. In Costa Rica, this coupling zone is under the Nicoya Peninsula. There are few places on Earth where this occurs. This allows us to place instruments on the fault and see all of the deformations that occur during the process of two plates crashing together. That’s why Nicoya is a worldwide tectonic attraction. You have said in previous interviews that this peninsula has pent up energy that was not released in the 2012 earthquake. What’s new with this energy? Before the earthquake we had identified two strong patches along the fault. The one that didn’t move is the one that’s off shore and is a bit shallower. At some point this energy will need to be released. It could be a 7.0 earthquake, but it is definitely smaller in terms of potential damage and magnitude than the 2012 quake because the seismic waves are going to diminish when they hit the peninsula. Is there any more precise information about when this will happen? No. What we thought was that the two patches would slide at the same time. As this didn’t happen, the pattern changed because that patch remains and we don’t know how long it will stay. It’s probable that it will close during the next seismic cycle (50 to 60 years), but it also could happen tomorrow or in ten years. We don’t have any control over this, which is why we are very transparent in saying that it is something that we don’t know. How is it that you can know that the Osa Peninsula it will be within five or ten years, but not when the next one in Nicoya will be? They are large margins. Nicoya had a pattern of earthquakes every 50 years, and the last one happened 62 years ago. That’s a huge period of time. That’s why we cannot make predictions. What we do make is anticipations. In the last quake in Nicoya we anticipated where the earthquake would be, but we couldn’t predict it. In Osa we also can’t do that, but the rupture zone is much smaller, with shorter 40-year cycles. In research and seismic predictions, there is always a problem locally with the mayor and some groups in the tourism industry, not all of them, that have censured me for this. The seismologist considers the Nicoya Peninsula a laboratory: an excellent place to study subduction processes. Did this censuring (that the previous council did due to the scientist’s imprecision) affect your research in any way? I say this with pride: Nicoya is talked about at all international meetings as the example of how people should prepare for an earthquake. The Nicoya quake was big and it didn’t kill anyone. In other places around the world, much smaller quakes have killed a huge number of people. This pays for the investment that we make in preparation. How can we be so well prepared? Before 2002, Nicoya wasn’t considered a high-risk seismic zone in the Construction Code. Starting that year, the code became much stricter than before. Because of this, starting in 2002 many new buildings were made according to much stricter standards. Additionally, the National Emergency Commission (in Spanish, CNE) started working with local committees, the MOPT (Transportation Ministry) reinforced important bridges, the MEP (Public Education Ministry) trained teachers and children. So there was a response before an event that was coming and not after an event happened. How was this preparation achieved on a scientific level? Instruments were installed. Seismographs that detect the smallest movements. Also accelerometers that only respond to strong earthquakes and don’t get saturated like the others when it’s quaking hard. The other crucial instrument in identifying these ruptures are the continuous GPS structures that are precise to millimeters. We have placed these instruments in different places around the peninsula and we can see from day to day how each sector of the peninsula is sliding as a consequence of the crash between the Cocos and Caribbean plates. Along with instruments there is fieldwork that involves observing beaches raised by previous quakes, sea levels, and the impact these have on the coast. Can it be said that the scientific work that is being performed in Nicoya will be emulated in other countries? Yes. And they started to emulate it, to use an example, even before the Nicoya earthquake. Costa Rica has a big advantage in the world and it’s that [the country] has built networks and has had a response when there’s been an earthquake. The National Volcanic and Seismic Observatory (in Spanish, OVISCORI) started putting together a Costa Rican seismological network in the beginning of the 80s – not as a reaction to an earthquake. In other countries it’s the other way around: there’s an earthquake, the country gets going and afterward it doesn’t invest in this and they don’t prepare any further. Does your research in Antarctica have anything to do with what is being done on the peninsula right now? During the Nicoya earthquake the peninsula moved 60 centimeters out to sea. In Antarctica, where we’re doing our research, you get a quake similar to the Nicoya one twice a day. In other words, there is a 60-centimeter movement in the fault two times a day in a much smaller area. Of course, they aren’t quakes that you can feel much, but they have the same characteristics so we wanted to register many seismic cycles in Antarctica so we can learn about the process of accumulating and releasing energy. And are there any results? We’re still systemizing everything that we’ve learned. After that there will be time for interpretation.